Oscar Braynon, II was elected to the Florida Senate to represent Senate District 36 in March of 2011. District 36 encompasses the majority of Northeast Miami-Dade County and parts of Southern Broward County. Prior to being elected in his current position, Senator Braynon served as the State Representative for District 103. Senator Braynon credits his interest in politics to his parents, Oscar and Patricia, who took him to local government meetings as a child. He quickly learned that the only way to make a difference in the lives of others was to be an active participant in the political process. His life-long dream became a reality in July of 2003, when at the age of 26 he was elected to serve as a City Councilman of Miami-Dade County's third-largest populated city (Miami Gardens). He made history by becoming one of the youngest politicians ever elected in Miami-Dade County. On June 27, 2005, he was unanimously appointed Vice Mayor of the City of Miami Gardens. Constituents of Senate District 36 would describe the Senator as an honest and committed public servant; however, he has long been recognized as a shining star in South Florida for his efforts in giving back to the community's most vulnerable citizens. Senator Braynon hosts an annual youth invitational basketball tournament, helping children in his community constructively enjoy spring break. He has also served as a City of Miami Summer Youth Employment Counselor, providing pre-employment training to disadvantaged youth, and has volunteered with Habitat for Humanity, Special Olympics, Boys and Girls Clubs of America, 100 Black Men of America, the United Way and he is a mentor for the 5000 Role Models. Senator Braynon is always working hard in and out of the legislature to ensure fairness for not only his constituents but every resident of Florida. 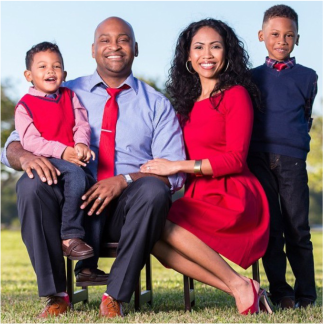 When he is not working to improve the lives of the citizens of Senate District 36, Senator Braynon serves as a Governmental Consultant for LSN Partners, and he is a wonderful husband to Melissa Fung Braynon and father to Brandon and Oscar Braynon III (as pictured above).